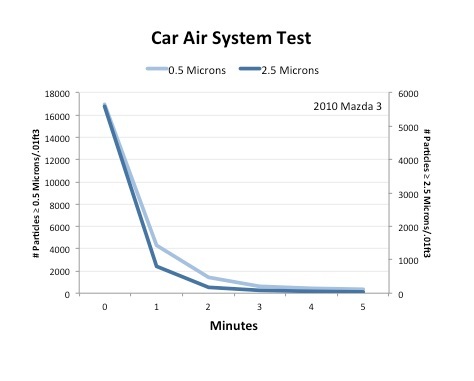 Car air purifiers sound like a great idea. Soon after I started making DIYs, people emailed me asking if we could make a DIY for their car. My initial reaction was, “Great idea!” On the highways, we’re surrounded by all of that awful pollution. Best to get a car air purifier. With the air system off (the red line), particle levels drop a bit, probably because of settling.But with the air system on (blue line), particulate levels dropped much faster. 1. Keep the car windows closed. 2. 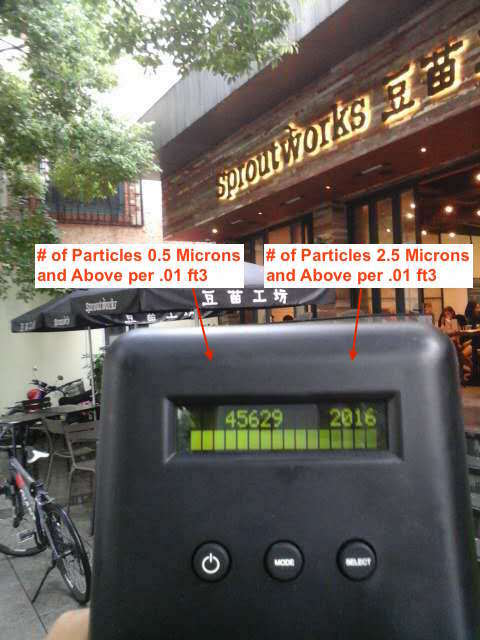 Use the “recirculate air” mode for the highest particulate drop. 3. Turn the fan on high (at least at the beginning of the trip). 4. 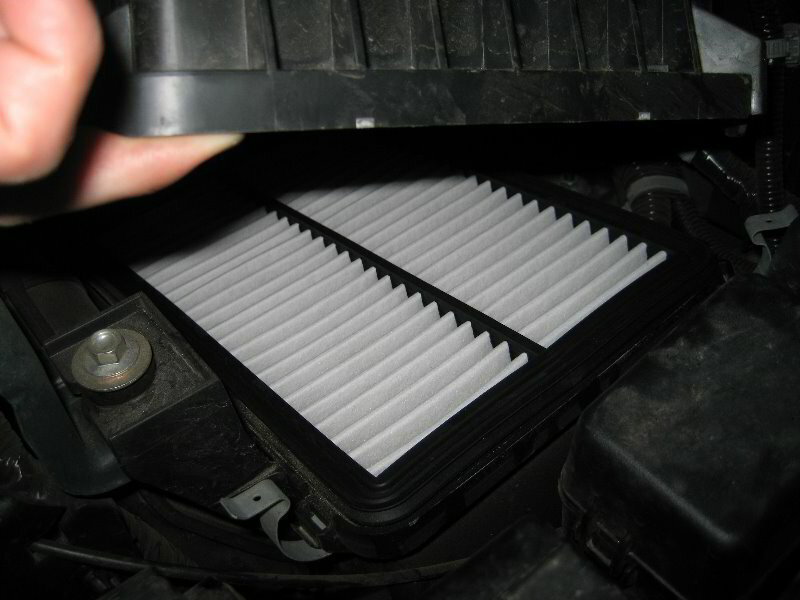 Check and replace your filters every few months. 5. 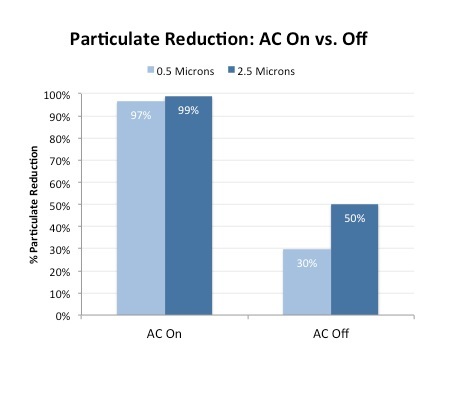 Think twice about whether you really need a car purifier. 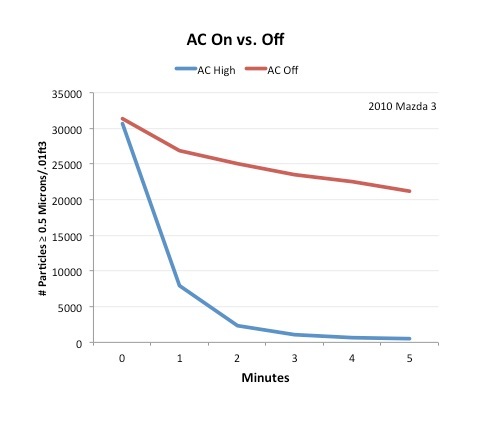 Have you repeated the tests with the AC on but not in recirculation mode? Good question! We didn’t do that. My guess is it’d be less effective (but still quite effective). For long trips, we might want to use the “bring in outdoor air” mode because CO2 would probably go pretty high in the car.